Edmonton MP Peter Goldring withdrew from the Conservative caucus Monday after he was charged with refusing to give a breath sample on the weekend. Goldring was pulled over early Sunday morning in north Edmonton during the annual Christmas Checkstop campaign. He was not taken into custody, but was not allowed to drive home, said spokesperson Chad Orydzuk. A government source said Goldring is leaving the caucus voluntarily due to the charges. "The member has voluntarily withdrawn from our caucus while the charges are resolved, because our government takes drinking and driving very seriously. As the matter is before the courts, we can't comment further," the source said. Penalties for failing to provide a breath sample are essentially the same as blowing over .08. The minimum penalty for a first offence is a $1,000 fine and a one-year driving ban. Goldring was scheduled to attend a weekend event at the Ukrainian Youth Unity Complex in his riding. However, his Ottawa office would neither confirm he went nor offer any comment on his withdrawal from caucus. Edmonton MLA Peter Sandhu, who shared a table with Goldring at the Christmas fundraiser for the Edmonton East Conservative Association, told CBC News that when he left at 7:30 p.m. Saturday to go to another event, Goldring had not been drinking. Provincial Education Minister Thomas Lukaszuk, the guest speaker at the event, spoke about Alberta's new drunk-driving legislation, which introduces penalties for people driving with blood alcohol content between .05 and .08. After the speech Goldring engaged Lukaszuk in a debate over the proposed law. "Following my speech I did open myself up to comments and questions, and that was an issue discussed at that forum," Lukaszuk said Monday. "And to hear that such has happened following the event is somewhat ironic." In 2009, Goldring spoke out against a proposal for stricter roadside breath-testing laws. "It is safe to say everyone is opposed to drunk driving — but there are civil liberty issues involved," Goldring wrote in an article on his website. "There is the presumption of innocence and the right to not self-incriminate.That may seem odious when we’re talking about a crime such as drunk driving, but it is hypocritical to hold principles and apply them only when convenient." 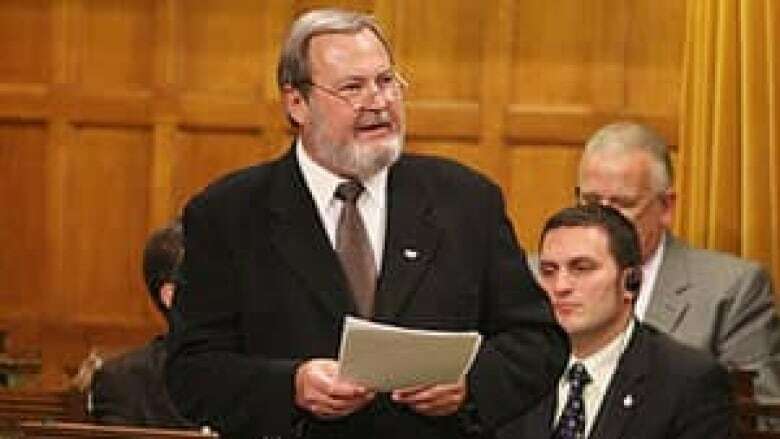 Goldring was elected to represent the riding of Edmonton East in 1997.